AirTrack for the iPhone, iPad and iPod Touch has been updated to version 3.2. Details at the AirTrack Website. The recently released Aviasim Saarlouis-Duren Airport (EDRJ) for FS2004 is now also available to purchase at FSAddon. FranceVFR has released Haute Normandie VFR for FS2004. Details and purchase at the FranceVFR and SimMarket. - Ground textures 4.75 meter / pixel resolution from IGN aerial photography reworked for an optimal visual rendition in FS2004 (summer only). - Dedicated mesh with high definition 19 meters (LOD11). - Semi-detailed airports including flatten platform correction. - Development process 100% Microsoft ® SDK specifications compliant, ensuring maximum compatibility with new releases. FlightSim Developers (FSD) is offering $5.00 off on all titles during the 5 Days in April sale. Valid through April 10th 2012. Drzewiecki Design has posted the first preview screenshots from the FSX version of Miami City 2012. Emilios has posted two more preview pictures from the upcoming Aerosoft Heraklion Intl. Airport (LGIR) for FSX. A_A Sceneries has released the free Advance Aviation Heliport addon to Phuket International Airport (VTSP) for FSX. The International X-Plane Engineering Group has posted two more development renders from the Boeing 737-300 project. New details and preview pictures have been posted from version 2 of the Dornier Do 328 Turboprop for X-Plane. Warbirdsim has posted new development screenshots from the upcoming Bell P-39 Airacobra for FSX. SimAddons has posted the first preview pictures from the upcoming Calgary International Airport (CYYC) for FSX. - Many updated Calgary city buildings like "The Bow"
More preview screenshots have been posted from the upcoming version 2.3 update to Ground Environment X (GEX) Europe. Black Box Simulation is offering 20% discounts with use of promo code "BBEaster2012". Valid through April 9th 2012. Abacus is offering 25% discounts on select items during this year's Easter Specials Sale. Sale Ends April 10th 2012. Aerosoft has posted new preview screenshots from Yekaterinburg Koltsovo Airport (USSS) for FSX and FS2004. Blue Sky Scenery has released the freeware Red Mountain, Randsburg photo scenery for FSX and FS2004. Tomaž Drnovšek has posted the Happy To Fly Over Slovenia video of Slovenia for FSX by the Slovenia Scenery Team. Mr3D has posted this test video from the upcoming 3D Pilot to the recently released Mitsubishi A6M Zero for X-Plane. VertigoStudios is offering 30% discounts on all boxed and digital products Easter Special. Sale Ends April 30th 2012. Gary Summons has posted the first screenshots from the upcoming UK2000 Cardiff Airport (EGFF) for FSX and FS2004. Thai Creation has posted another teaser screenshot from the upcoming FSX version of Paro Intl. Airport (VQPR). Classics Hangar is offering 30% discounts on all products during this year's Easter Sale. Valid until April 10th 2012. Gilles Faulmeyer has released the freeware Caudron C.450 and C.460 racing aircraft for FSX. Download at AVSIM. FS Magazin - Issue 3 2012 (german language only) is now available to purchase at SimMarket. Nemeth Designs has posted more preview screenshots from the upcoming Eurocopter AS355 Ecureuil 2 for FSX. Navigraph NAVData AIRAC Cycle 1204 is now available. Purchase Credit Packs at Navigraph or SimMarket. Just Flight is offering 10% discounts on all flight and train sim products during the 2012 Easter Sale. Until Apr 11th 2012. MilViz has added more preview pictures from the upcoming Boeing 737-200 for FSX to the Facebook Album. Turbine Sound Studios (TSS) has posted another preview video from the upcoming DC-10 GE-CF6 HD Sound Package. Orbx has officially introduced the upcoming Jackson Hole Airport (KJAC) for the FTX Central Rocky Mountains region. Orbx has posted more preview pictures from the upcoming Monroe Firstair Field (W16) scenery in the PNW region. Gianni Mantellini has posted new previews from the upcoming Milan Linate Airport (LIML) for FSX, FS2004 and P3D. Majestic Software has posted two more screenshots from the upcoming Bombardier Dash 8 Q400 for FSX. Drzewiecki Design has posted more details and preview screenshots from the upcoming Miami City 2012 scenery. 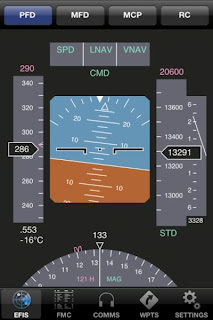 Angle of Attack has posted the 737 GroundWork Preview - Primary Flight Controls video from the 737NGX Training Program. - Photo real textures on buildings, vehicles etc. 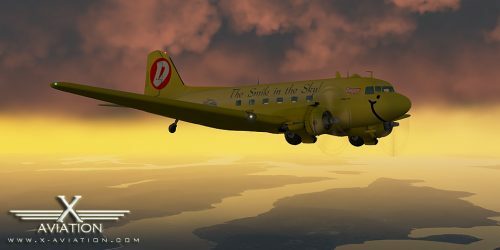 Aerosoft is offering 20% discounts on select items during the Flying History Sales Weekend. Valid through Apr 9th 2012. Leading Edge Simulations has released this sound patch to the Douglas DC-3 for X-Plane 9 & X-Plane 10. Dawson Designs has announced conversion of the Virtavia Boeing C-17 Globemaster III for use with X-Plane. Taburet has released Nice & Monaco Photorealistic for X-Plane 10. Now available to purchase at SimMarket. Laminar Research Austin Meyer Fired!